Nchanga Rangers football club are a team that is not new to fighting relegation, Despite the season being far from the time the curtain will close all indications point to the Chingola based out-fit fighting relegation all through the season. With seventeen rounds of matches played this far they are 17th on the log with only 12 points accumulated. A story similar to that of last season as they only survived relegation on the final day of the 2017 Super League season. As a matter of fact by week thirteen they had the same statistics as those of last season, Three wins, Three draws and seven losses. At week seventeen however they had four more points than they have today because they had drawn their week 15 -17 matches, Sadly this season they have lost all four. What’s the difference you ask?, Ghanaian striker Zikiru Adams is the answer. Three out of those four draws ended 1-1 and all the three goals were scored by Adams. Fast forward to week 38, Rangers survived relegation 16th on the log and four points clear of 17th placed Mighty Mufurila Wanderers with Adams ending the season was the Club’s top goalscorer on 13 goals from just 15 games a feet that even the late Godfrey Chitalu would be proud of. 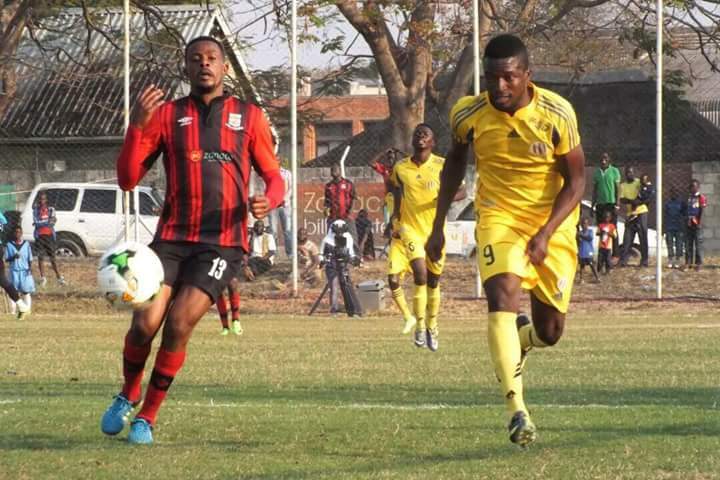 The Ghanaian joined Nchanga with the view of advertising himself and earning a move away from Chingola to a ‘bigger’ Club which he has done as he is currently on the books of defending Champions Zesco United. He was a man with a dream, big ambitions and a great will something that Nchanga can use right about now. They need a player or players with the same level of dedication as Adams, Someone whocan carry the team on his shoulders during difficult games and stir them towards victory. Brave need to re-inforce during the mid season transfer window or else the 1998 Super League champions might not be so luck this time. THE FOOTBALL ASSOCIATION OF ZAMBIA. REPORT ON POOR OFFICIATING FOR SOME REFEREES IN DIVISION ONE – EASTERN PROVINCE. On 2nd June,2018 there was a Division ONE match played between Chipata City Council Fc and Katete Rangers Fc which kicked off at 15:00hrs . This match took place at DAVID KAUNDA (D.K) Stadium in Chipata. The complaints are that the Centre REFEREE was very biased favoring the home team, 90percent of the decisions he made against the visiting team(Katete Rangers) were wrong. He gave a false penalty to Chipata City Council, fake fouls against Rangers, two players for Katete Rangers were fouled simultaneously unfortunately he didn’t blew the whitle and it took him three minutes to stop the game after pressure from the fans and players. Again for those players to return to the field of play he didn’t allow them until about 10 minutes after massive pressure from Players and Soccer ⚽ fans and this time fans almost caused chaos and the Police 👮 had to maintain peace and order in controlling the situation and that’s when the referee allowed the two players who were injured to join the play. In addition, he was giving Corner kicks to Chipata city Fc for their own misplaced balls instead of free Kicks to Katete Rangers fc. Other notable actions by the referee are that several times when the ball rolls out of play by a Chipata City council player the referee gives the Chipata City council throw in instead of giving it Katete Rangers; On this day the main objectives of this referee was to rescue the Hosting Team. May we know if FAZ train these match officials before they can be approved to handle these games! It was like we were watching the game in the village and not a FAZ calendar 📅 match which are manned by rules and regulations. Do the Division ONE games have Match Official who can handle these negativities which spoils our good game of football in the country. I think this is why some of these village referees do not progress in their careers ( Are they corrupt or it’s just their desire to support the local clubs? ) The rules of the referee are that they don’t need to be a supporter of any of the two teams he/she is officiating because it disadvantages the visiting team.Or the other Team. Therefore, we are asking FAZ to take this complaint seriously because if such wrong trends are torareted in Football it will destroy the good image of Zambian referees accross the globe. Ellias Siyanjere Tembo – Chipata. The problem at Nchanga rangers is management. The officials are not thinking outside the box and they are using players as scapegoats.These people must woo more individuals and organisations to help sponsor the team. What the team needs is financial muscle that will help players get motivated as well as attract more quality players who can deliver for them. This current executive has failed the people of Chingola and fans at large.They must just resign on moral grounds instead of sacking players. These indians can not sponsor football because they play mostly cricket where they come from.LASTLY WE CAN’T WATCH FOOTBALL MATCHES PROPERLY ON GOTV BECAUSE OF STICKING PICTURES.